Dr Michael Lange an optometric physician and certified nutrition specialist says the way we diagnose and initiate treatment for macular degeneration is changing. Dr Lange is the owner of Lange Eye Care and Associates a large optometric / ophthalmological eye care center in Florida consisting of 10 locations. The key with dry macular degeneration is early detection and then start the patient on the appropriate dietary plan and regiment of supplements. Dr Lange states that specific lifestyle changes are a very important aspect of helping the macular degenerative patients as well. 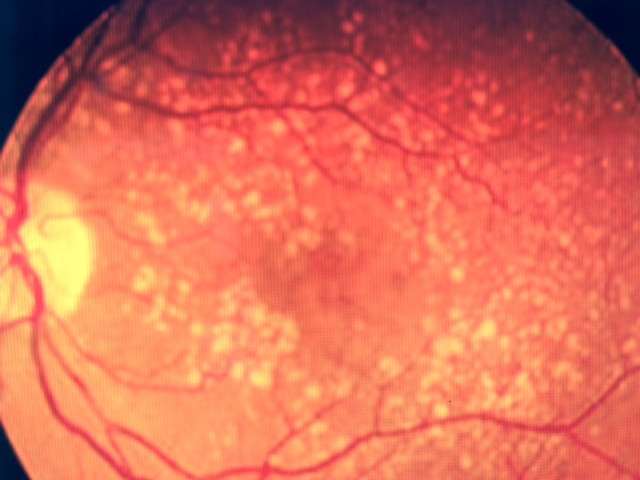 Many new discoveries in technology and nutrition are proving to be beneficial for the macular degeneration patient. The doctors at Lange Eye Care in Florida are helping patients become pro active in their future eye health. Dr Lange says we are seeing fewer patients progressing to legal blindness if they follow some specific recommendations we make. Dr Michael Lange is using Zinc Free Macular Defense by Fortifeye on close to 50% of the patients he sees with ARMD. This is a formula Dr Lange developed and has been using for some time. Fortifeye Vitamins has six different levels of supplements that can be recommended by eye care providers based on weight, age, disease level and DNA. Dr Lange states ” everyone’s DNA is different and therefore everyone’s nutritional recommendations wont be the same”. Dr Lange also believes in discussing specific dietary recommendations with his macular degeneration patients. He will recommend patients consuming foods that are high in lutein, zeaxanthin, astaxanthin and resveratrol. He recommends patients try to follow a gluten-free organic paleo diet, get plenty of exercise, hydration and sleep. He really pushes Omega 3 from fish or good triglyceride form omega 3 fish oil like Fortifeye Super Omega. Dr Lange says that all the science is so positve for taking the correct form of omega 3. The essential fatty acids in omgea three act like a shuttle system for the carotenoids and increase the absorption. Taking omega 3 fish oil while taking the new Fortifeye Zinc Free Macular Defense is what Dr Michael Lange recommends. This entry was posted in Uncategorized and tagged beneficial for macular degeneration patient, blu tech lenses, crizal prevencia, dna for macular degeneration, dna testing for macular degeneration, dr michael lange, filter the blue light, foresee home amd monitoring program, foreseehome, foreseehome amd monitoring program, fortifeye super omega, fortifeye vitamins, lange eye care, macular degeneration patients, macular risk, treatment for macular degeneration, viso prevencia, zinc free macular degeneration supplement, zinc good for the retina. Bookmark the permalink. 3 Responses to New technology and proper nutrition may decrease vision loss from macular degeneration.